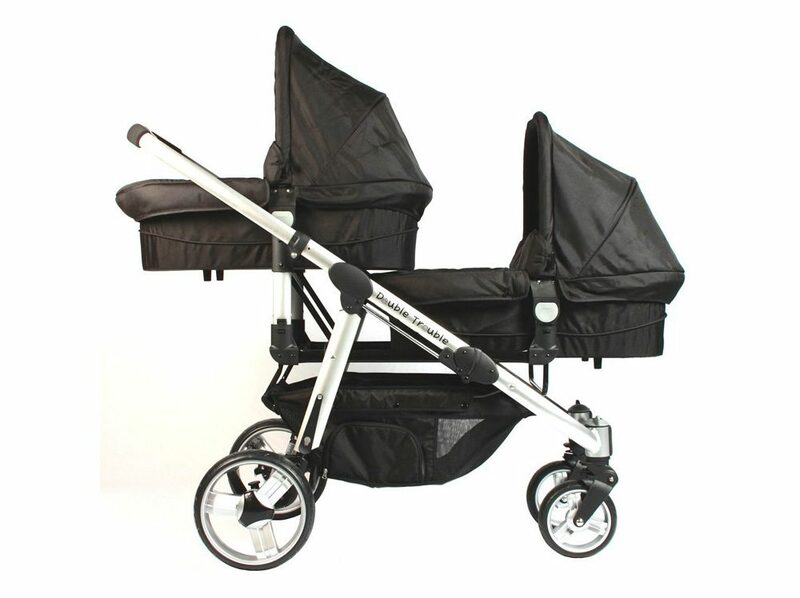 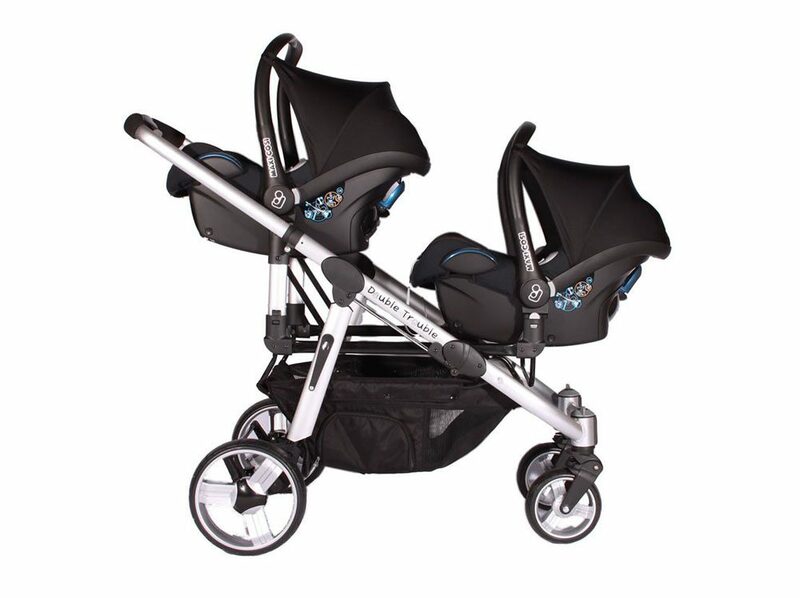 This package offers extreme comfort for babies and is a complete, versatile and trendy travel system. 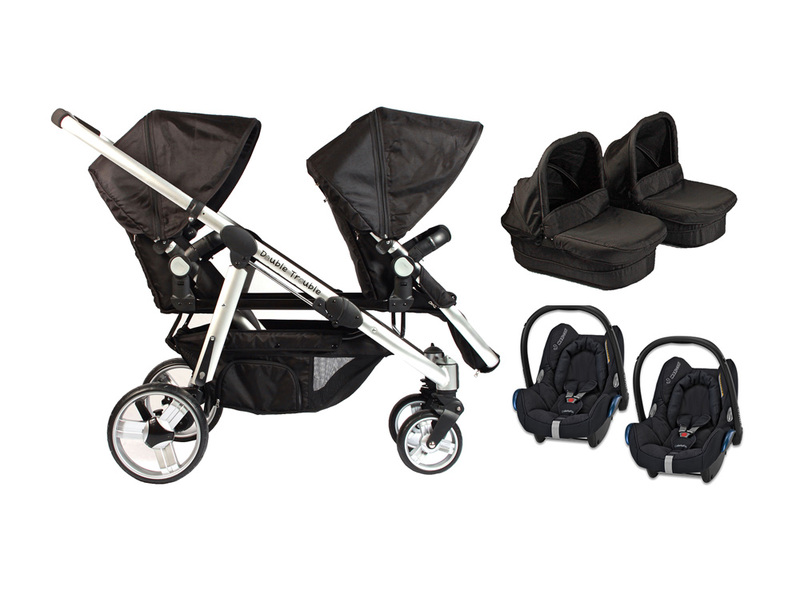 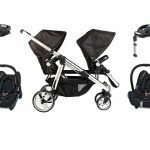 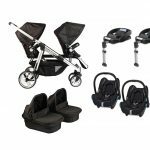 The Comfort Delux package includes the Double Trouble Twin Pram, two Double Trouble soft carry cots and two Maxi-Cosi Cabriofix car seats. 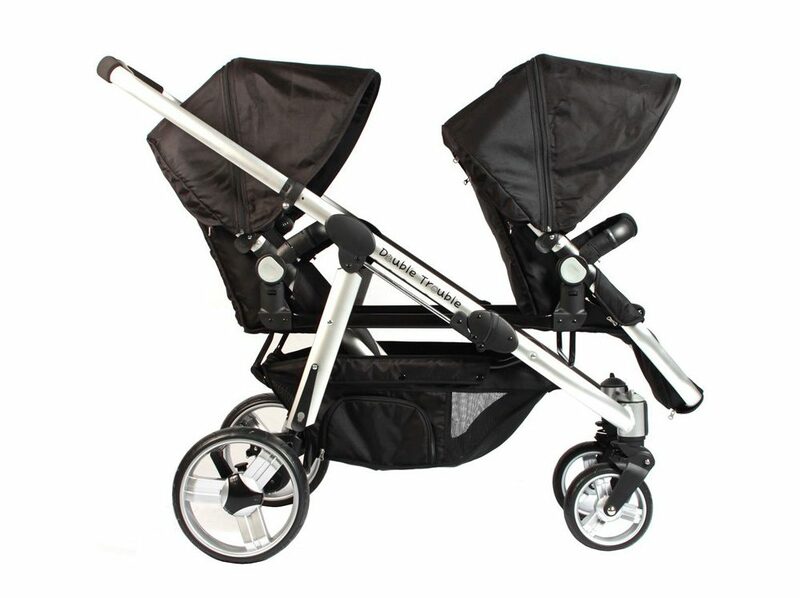 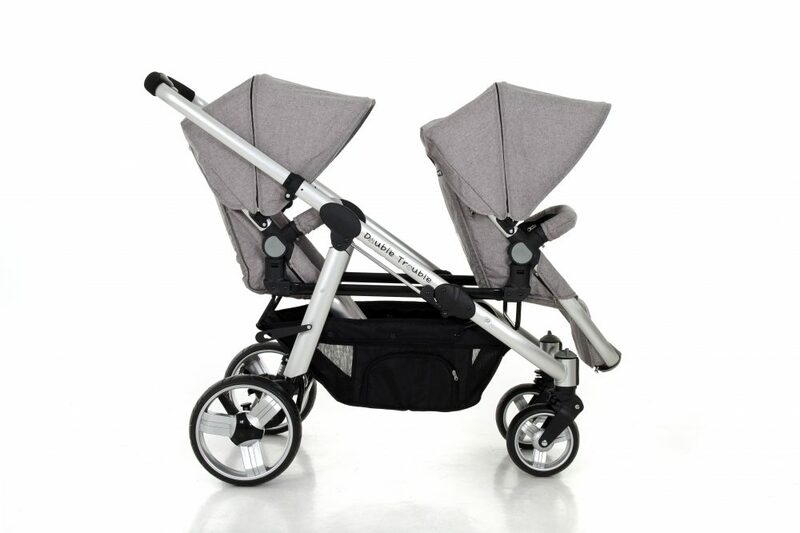 The carry cots and car seats are simple and easy to move from the Twin pram to the car. 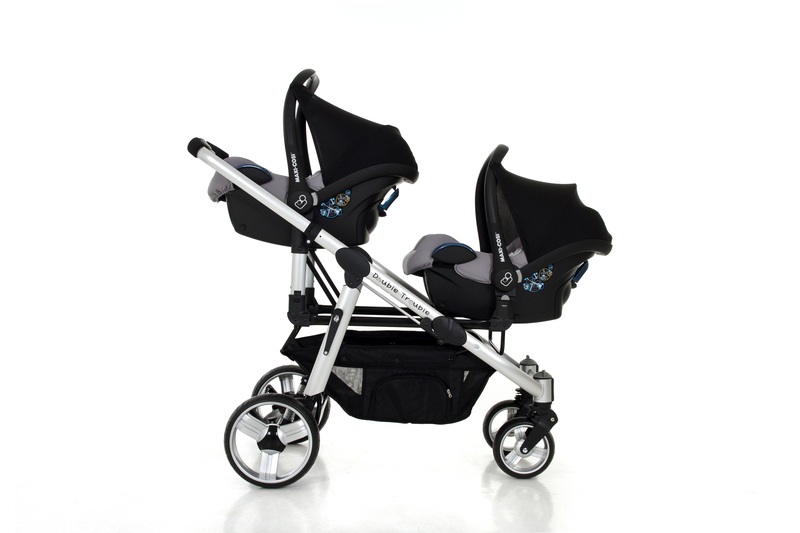 This package is ideal for babies born in winter, premature infants and small babies as the comfy carry cots will keep them snug and warm. 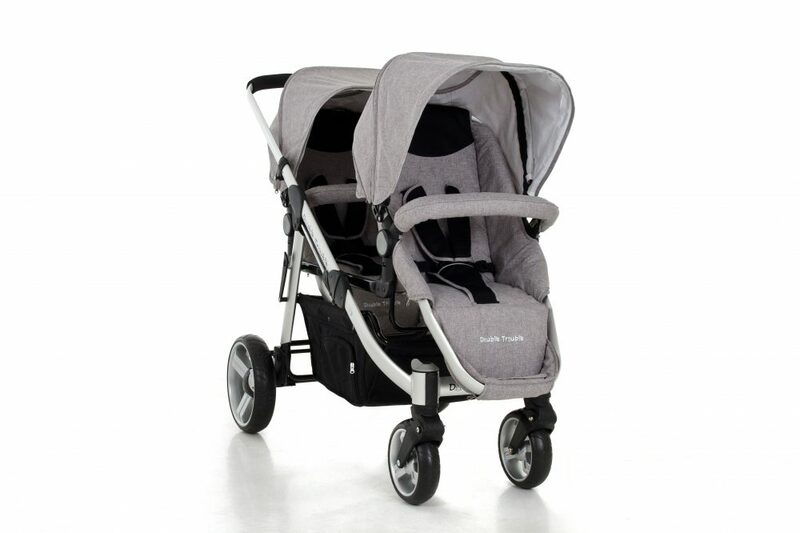 *The colour of the car seat may differ slightly from the picture above.